Mike Mooneyham of The Post and Courier recently interviewed SmackDown Live Superstar Xavier Woods. 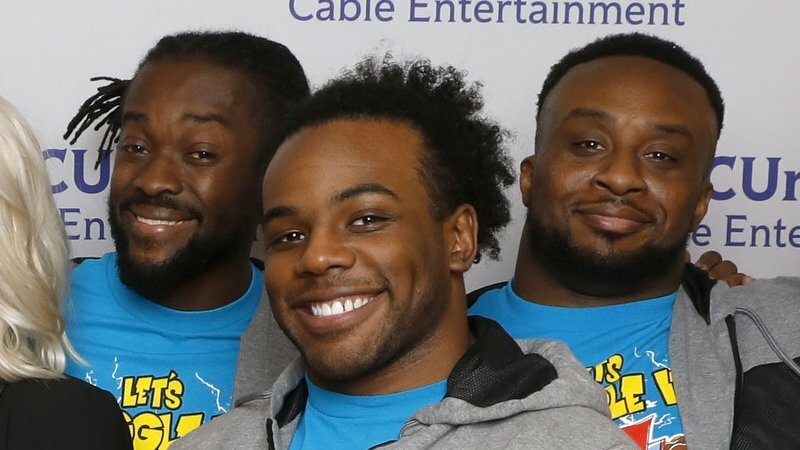 Woods opened up about whether or not The New Day will ever break up, his times in WWE, and much more. Highlights appear below. When you go to work, you want to have fun, because when you’re have fun you’re not really working. And I’ve never had this much fun in my career. I can’t imagine something being a step up. I think the three of us are very lucky to be able to be where we currently are, but I think we are there because we’ve put the work in. We try to understand everything we possibly can outside wrestling. WWE is not just a wrestling company. It’s an entertainment industry. There’s a lot more than the wrestling. We do a lot more than what you see in the ring. It’s the best career move for all three of us (to stay together). New Day’s staying together forever. In the easiest terms, it’s the most fun option for us. 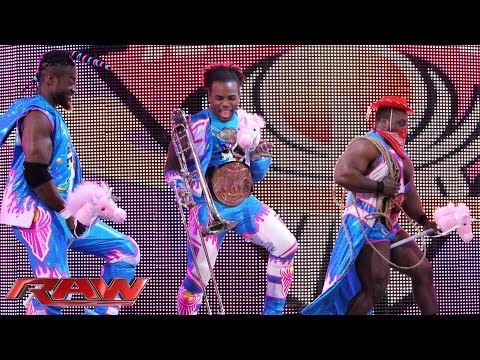 Obviously Kofi [Kingston] was killing it already. [Big] E was doing well. I wasn’t really doing much. The group has helped me become more recognized and things like that. But you also think about the things that Kofi and me were doing. They’ve gotten way more opportunities as well because of being part of the group. It’s helped all three of make sure that we’re on TV, make sure that we get microphones in our hands, and possibly the most important thing in the company, it’s helped us with opportunities to have amazing matches with other teams that are just as amazing. So when you get to have a Hell in a Cell match, none of us had ever been in that position before. By having this group effort and being able to attack this as a group, we’ve been able to do a lot more than if we were just doing this alone. Just seeing the smiles on people’s faces, whether it’s at a show or a signing, because that was me. I know how that feels. To know we now have the ability to do that for people … that’s insane for me. To have a seven-year-old kid on the other side of the world know my name is a very humbling thing. I’m just a regular dude from Georgia who likes wrestling. How do you know me? That’s awesome. The reach that WWE has is amazing. I’ve been playing trombone since the sixth grade. People always ask me if I just tried to learn trombone so I could use it in the act. I actually was a concert-level trombonist. I play every once in a while. I’m obviously nowhere as good as I was when I was younger. But I can still play something by ear, which is nice. My old band teacher told me he didn’t know this for a fact, but he was pretty sure I had done more for trombones than anyone in the history of this school. I was on the independent scene the day after I graduated from high school. I started training and had my first match two months later, right before I actually went to college. I wrestled five times a week. I found a place on Tuesday nights, so right after class I would go there. And then after Friday class, I would drive to Georgia or Virginia or wherever I was wrestling, and I’d wrestle Friday night, Saturday night, Sunday morning and Sunday afternoon, and then drive back to school for class at sometimes 8 a.m. on Monday. I obviously missed out some of the social things in college, like fraternities and parties. I wasn’t there on the weekends when people were hanging out. But I was lucky enough to have a solid group of guys that I lived with who were incredible and with whom I am still friends to this day. They’d come to the matches with me and were always supportive. I was very lucky to have them, and if I hadn’t gotten the chance to go to Furman, I would have never met those guys. (TNA referee) Earl Hebner used to call me ‘Tiger,’ so I went with the last name Woods because I thought it was funny. I’m a huge fan of X-Men, and just intelligence in general, and the leader in charge is named Prof. Charles Xavier. I took Xavier from him, and put together the two names. Luckily it got through creative and everything, and my name is now Xavier Woods. It (the concept) was mine from a standpoint of wanting to come together, and then it’s been stuff from everybody as we’ve gone along. That’s nice because we have very similar, but very different, trains of thought. Where I lack, E picks up. Where E lacks, Kofi picks up. It’s become a very well-rounded group. We just know each other so well. Obviously you never know, you can only hope, but that was always the goal that I wanted to attain. You have these goals and you set them. You know what you want to do. You know what people have done before you in similar positions, such as a three-man group. You’ve only seen it be able to be taken so far before the group has to call it quits or they can’t do anything interesting anymore. So that was always not the fear, but the thought in the back of our minds. What all could we really do with this? Being able to spend the time together before we actually debuted on TV really helped us. By the time we debuted on TV, the sky was the limit. It was solely based on our chemistry that we were going to make something happen. And then that turned into we’re going to make everything happen. We have a great team of writers who are amazing. If we’re having trouble thinking of something, they’ve got ideas on deck. It’s all a big family, group effort. A lot of what we do is improv. We just always want to be in touch. We talk about stuff that’s funny to us. We feel like if it’s funny to us, hopefully it’s funny to other people. If not, at least it’s funny to us. I can have a job where I get paid to travel around the world in shiny pants. Why would anyone want to do anything else? That sounded awesome. It was really a no-brainer for me after I realized that.